Café/bar on two floors, with major al fresco situation and expanded crusing potential during the summer months. Reliably decent for breakfast (including a nice Eier im Glas), lunch and beyond, though the food and coffee are not of a vital standard. Attracts gay and straight locals and tourists, and business picks up during the Easter BLF leather and September Folsom Europe weekends. Berio is Berlin's answer to Hamburg's Cafe Gnosa, though Gnosa bakes the much better cakes. Under new management as of 2009, with food, service and atmosphere not quite what they were, though somewhat now improved. The Maassenstraße can't compete with the Motzstraße for top catwalk status, but traffic remains heavy enough for a decent regularity of people-watching, and centre-stage Berio does the trick despite some competition from neighbouring Impala [see entry]. And it's back to being open 24 hours a day. U-Bahn: Nollendorfplatz, then a one-minute walk. I guess they have one wait person for the whole place. Likely to change shifts during your meal. First visit I was asked to pay early, since she was leaving. Second time, I didnt know the waiter left. I sat waiting for about 30 minutes waiting, but people watching as well. Finally went to what appeared to be the cashier, I was told NO, pay the waitress..I said "what waitress"? Found her, told her I wanted to pay, my check of 25 euro. All I had was a 50 euro note, she was irritated I didnt have something smaller. "I just started my shift, I dontt have that much change". I was about ready to walk out, but didnt want trouble. She took the 50 out of my hand and started walking out. She saw a cute dog and decided she had time to pet the dog for about a minute, while I was waiting there (with her bare hands, btw). Crosses the boulevard and returns with my change, which she literally threw at me. Dont get worse! Just try any of very big breakfast. I love the one with schampaign ;) sekt. Nice to sit outside and just watch. Great cake, not this great coffee. But a place you have to go if you are in Berlin. Lots of fun being there on saturday. 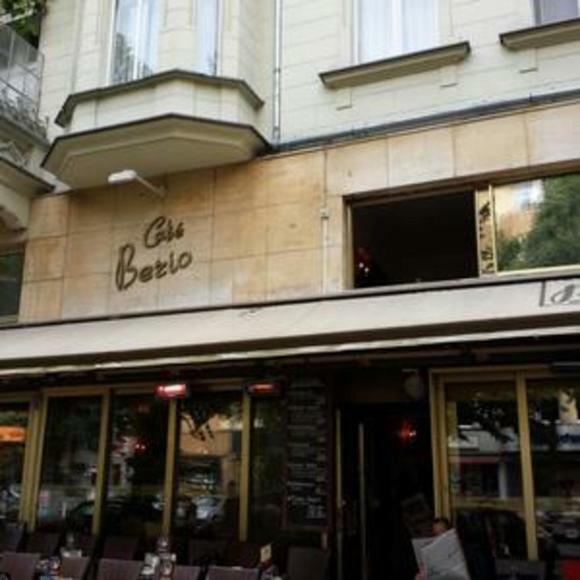 Cafe Berio is a cafe, rather than a bar. Good food, cute waiters, great atmosphere... But the best feature is the outdoor cafe, open late, covered and heated for men-watching all year long! This is the place to be on a sunny afternoon/early evening or even for breakfast, especially on saturdays, when there is the food market at the nearby Winterfeldtplatz. It is a cafe, good for coffee and cake, all outside chairs face the pavement and street, just like a french style cafe in Paris at the Champs Elysee. So go there and watch people going by and get seen! If you don´t like the catwalk atmoshere, there are many cafes around, just like Manzini and Cafe Maybach.